The staff members on our Special Teams are experts in their fields. 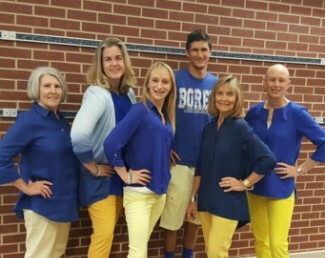 Whether they are members of our Enrichment team (P.E., Music, Art, and Technology), or Library, academic support / Intervention staff, these important educators serve to teach our students in new and exciting ways. Eryn Kriewall (Music Aide), Austin Yaeger (P.E. Assistant Coach), Kay Verville (Art) and Katie Carney (Music). 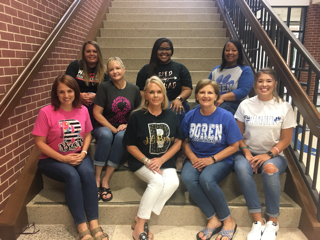 Top Row Left to Right: Jill Montgomery (Co-Teach/ Resource Teacher 3-4), Kristi Moore (Librarian), Ashley Harris (SPED Aide), and Paula Knatt (Co-Teach/Resource Teacher K-2) . Bottom Row Left to Right: Amanda Fyfe (Speech Therapist), Kate Hubbard (Reading Specialist), and Sara Harman (ESL/ELL). 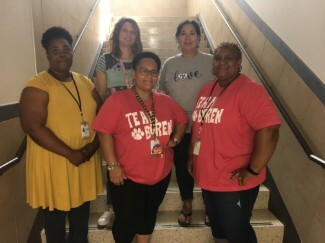 Linnette Paulino (PPCD teacher), Desiree Graves (PPCD Para), Rachel Jeffery(PPCD teacher), Kenya Watkins Johnson (PPCD Para) and Avis McKinney (PPCD Para).